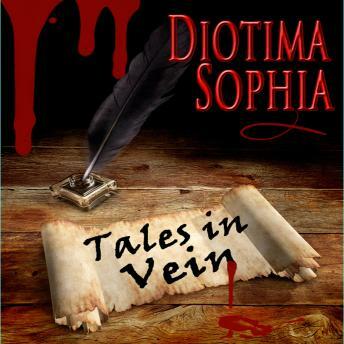 Takes In Vein by Diotima Sophia. These stories reveal the truth about Vampires as told by a rather special vampire. Not the romantic or even the really nastily horrific stories that the non-vampires amongst us have dreamed up. Tracing a life lived over centuries from Ancient Rome, right through to the more modern Texas, these stories are linked by the narrator with interludes of explanation. Subtly dark and with enough horror behind to send a shudder down the spine in places, but with gentle humour and a facility for twisting the historic truth just so much that the fictitious explanation makes sense in context.